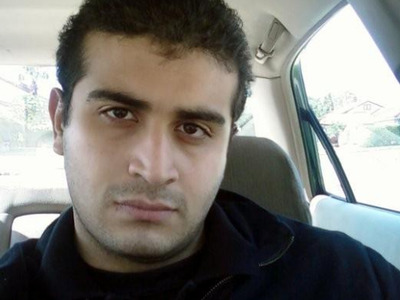 The man who killed 49 people at a gay Orlando nightclub on earlier this month spoke to police several times throughout his rampage as negotiators tried, unsuccessfully, to get him to stop shooting and release his hostages. A transcript from portions of those communications were released by the FBI on Monday. The FBI says it would not release audio of the shooter’s calls at this time and would not be releasing audio or transcripts of the 911 calls made by the victims during the shooting. But the transcript offers a glimpse into the mindset of the gunman, who has since been identified as 29-year-old Omar Mateen, before police raided the nightclub and killed Mateen in a shootout. “Praise be to God, and prayers as well as peace be upon the prophet of God,” the gunman told a 911 dispatcher in Arabic, according to the transcript. When the 911 dispatcher asked for his name, Mateen replied: “My name is I pledge of allegiance to [omitted].” Then he hung up. The call was received at 2:35 a.m. and lasted approximately 50 seconds. The shooter spoke to the dispatcher in a “calm, chilling, and deliberate” manner, FBI agent-in-charge Ronald Hopper said in a press conference Monday. FBI director James Comey had previously indicated that, in the 911 call, Mateen also expressed solidarity with the Boston Marathon bombers and an American suicide bomber who died fighting for Al Qaeda in Syria. That was not reflected in the transcript, however, which also omits Mateen’s name and the group to whom he pledged allegiance. Shortly after the first 911 call, Mateen had three separate conversations with the Orlando Police Department’s Crisis Negotiation Team. The first, at 2:48 a.m., lasted nine minutes. The second lasted 16 minutes, and the third lasted three minutes. Mateen identified himself as an Islamic soldier, according to the transcript, and demanded that the US stop bombing Iraq and Syria. Mateen then told police that he had an explosive vest like “the kind they ‘used in France,'” according to the transcript, and said he was going to begin putting the vests on his victims. A fourth attempt to contact him was unsuccessful. The Orlando Police Department began evacuating victims after pulling an air conditioning unit out of the Pulse nightclub’s dressing room. The victims told police Mateen said he was going to put four vests with bombs on his hostages within 15 minutes. That is when police decided to raid the club, according to the FBI. A SWAT team and OCSO Hazardous Device Team breached the club’s bathroom wall with a grenade and armoured vehicle at approximately 5:02 a.m., the transcript showed. Police exchanged gunfire with Mateen, who was reported “down” by 5:15 a.m. — more than three hours after he had first opened fire. A subsequent search of vehicles outside Pulse turned up no signs of explosives or additional weapons. Mateen’s massacre at the gay Orlando nightclub was the deadliest mass shooting by one person in US history. Forty-nine people were killed and at least 50 more wounded. Mateen was familiar with the club, as he had been going there at least once or twice a month for the last three years, performers and regulars at the club told media outlets last week. He also used several gay dating apps, officials have said. A US citizen born in New York to Afghan immigrants, Mateen was living in Fort Pierce, Florida, when he rented a car and drove to Orlando to carry out the attack. An FBI representative said Mateen “was organised and well prepared” for the attack, and the Bureau of Alcohol, Tobacco, Firearms and Explosives confirmed that he was armed with an assault-style rifle and a handgun that he had legally bought a few days before. Mateen was a security guard and had a Florida firearms licence that allowed him to carry concealed weapons. He was investigated twice by the FBI in 2013 and 2014 for his suspected ties to terrorists, but the cases were closed when authorities concluded that Mateen did not pose a substantive national-security threat.